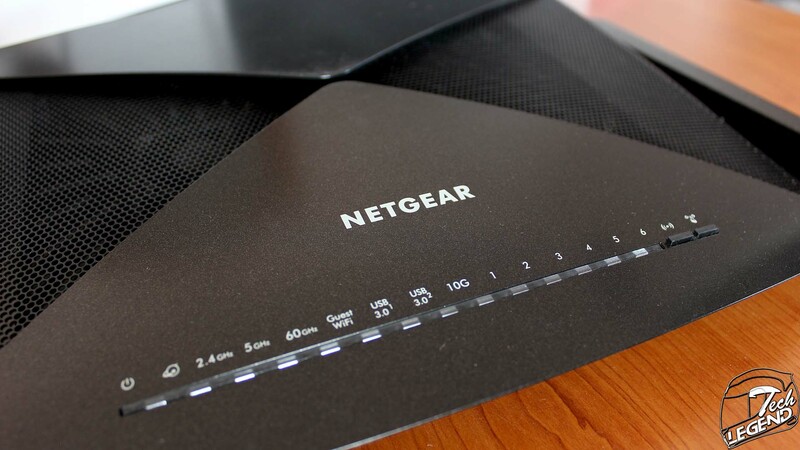 The Netgear Nighthawk X10 is a high-end Wi-Fi router that is equipped with a 1.7Ghz quad-core processor and four enhanced dual-band Active antennas. 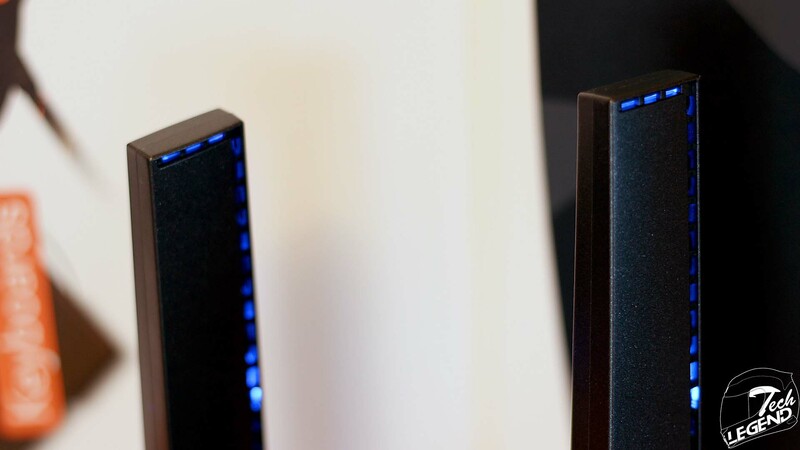 The overall design of the router features angular elements as well as a textured surface on half of the panels. 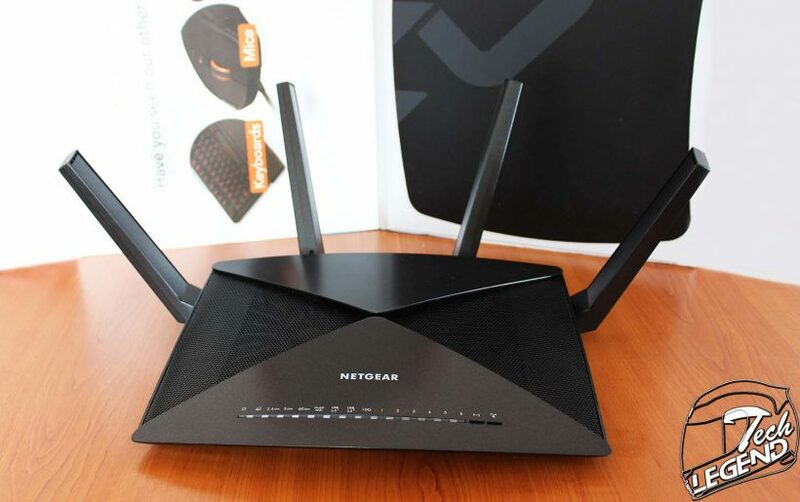 In addition, the router has a weight of 1865g and the dimensions: 224 x 168 x 74 mm. 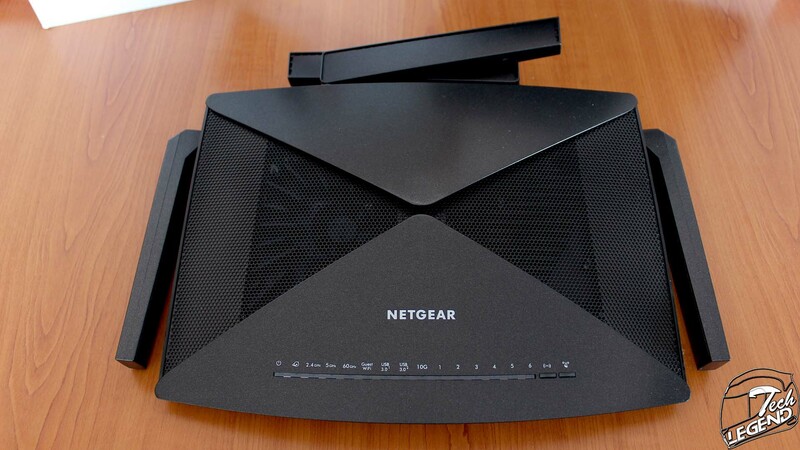 The Nighthawk X10 has a total of 7 ports installed at the back, six Gigabit (RJ-45) LAN ports and one Gigabit (RJ-45) WAN port. 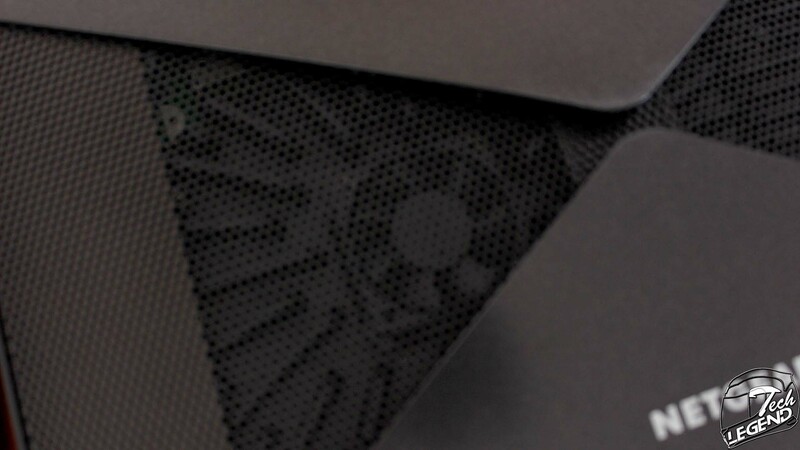 On the same panel there are the power button as well as a small switch for turning off and on the onboard LEDs. 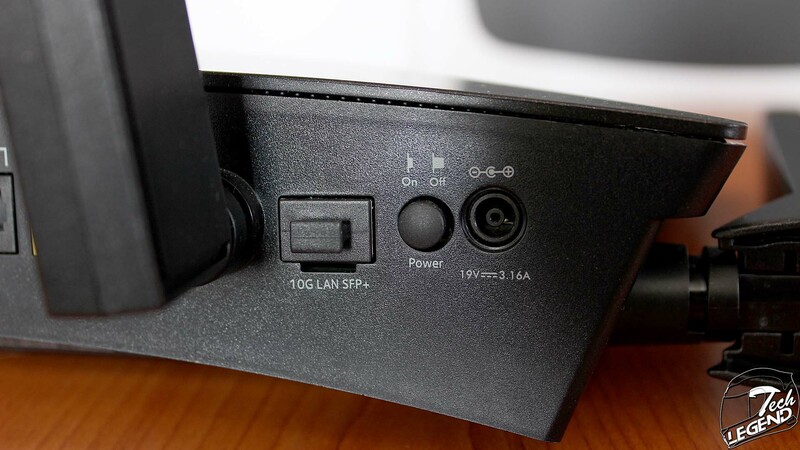 Next to the power AC socket there is the 10G Lan SFP+ button that allows the connection of SFP+ compatible devices and cables. 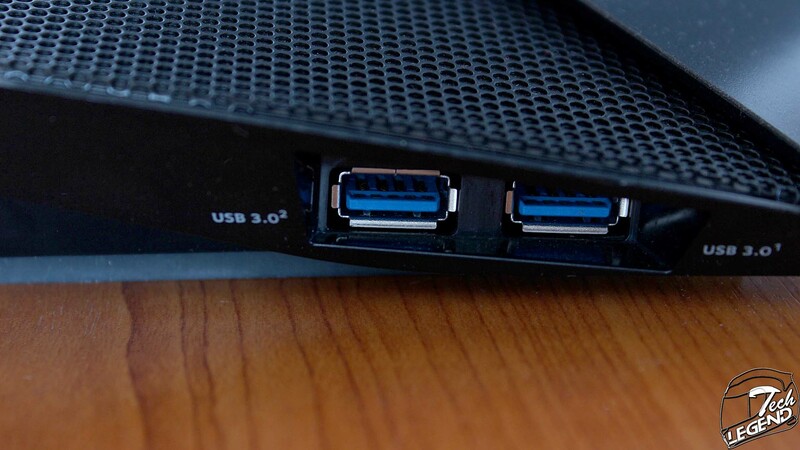 The sides of the routers are simple, on the left panel there are two USB 3.0 input ports. 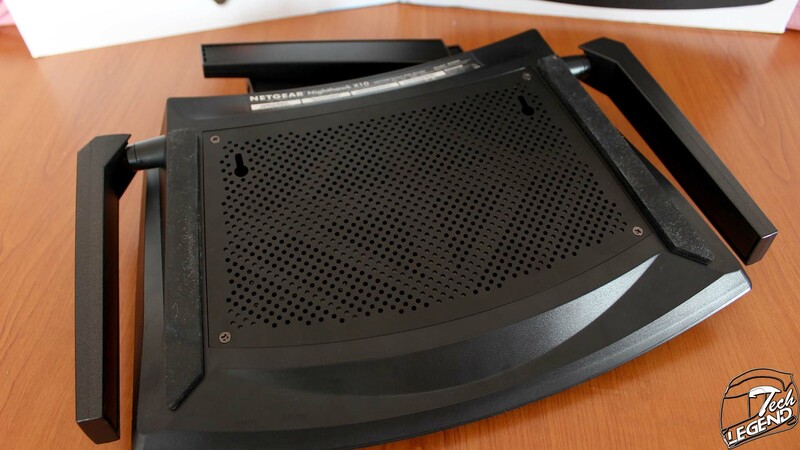 The four enhanced dual-band Active antennas are made out of plastic and can be folded to save space or to prevent damage when the router is being transported. 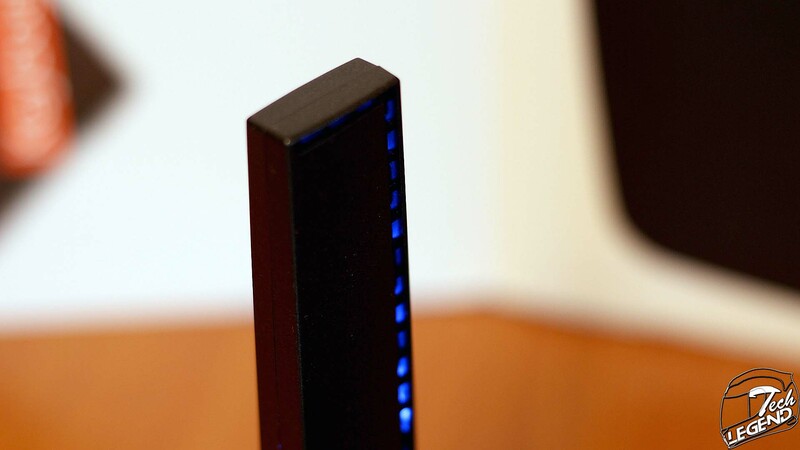 The antennas feature blue LED illumination on the sides towards the back when the router is powered on. 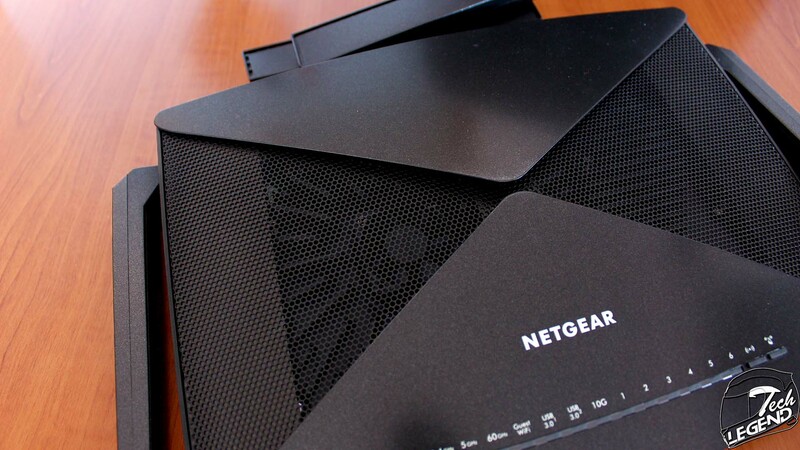 The active cooling of the router is done by a single fan installed under the top mesh of the case on the left side. 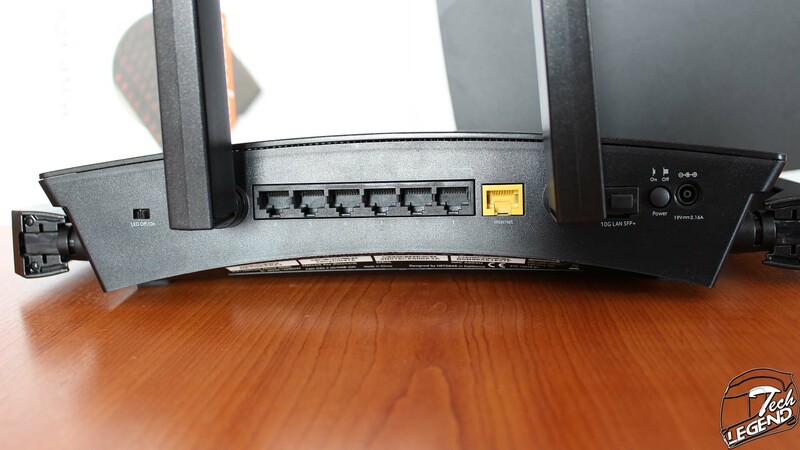 The fan is set up as an intake to blow cold air on the inside components of the router and the metal heatsinks. 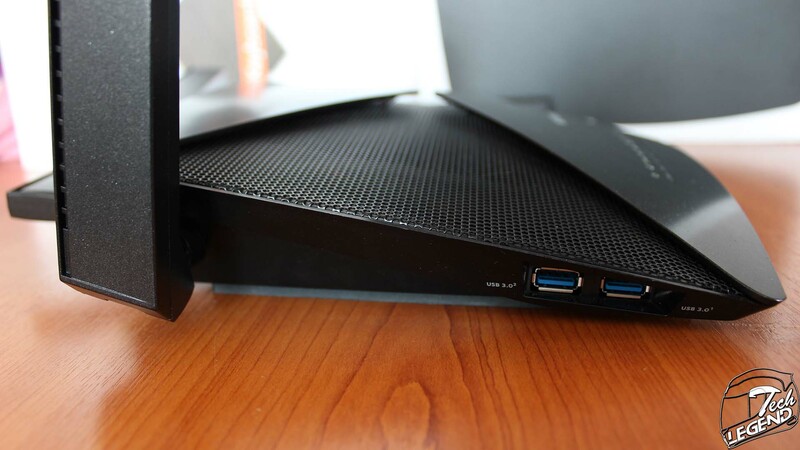 The underside of the Nighthawk X10 is designed for practicality, and features vents that allows the escape of the air pushed into the case by the small top fan. 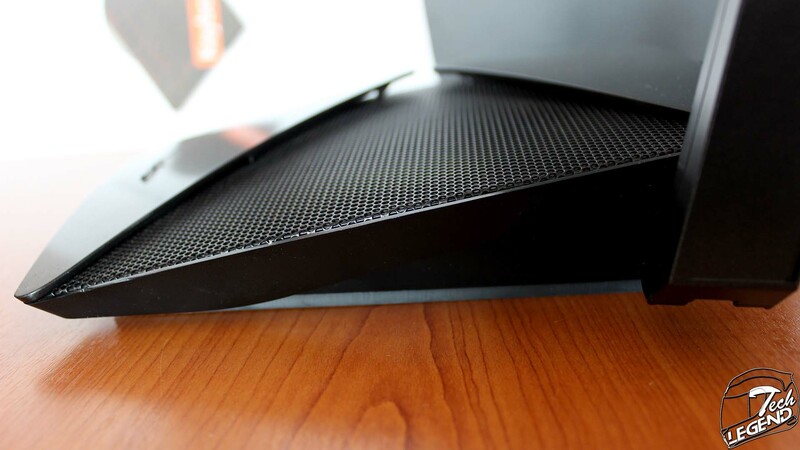 The sides of the base are covered by a single long rubber pad each. These pads provide a good grip on most surfaces and also will prevent any scratches of the surface the router sits on.